Weather prevision to enjoy your barbecue without surprises! We help you make the most of the outdoors. At Campingaz we have a simple aim: to develop innovative, reliable and affordable products that make the freedom of the outdoors more accessible and enjoyable. The perfect combination of practicality and inspiration. A revolutionary swimming aid The Original Puddle jumper® Deluxe Pirate that brings fun and confidence in and around water to kids and peace of mind to parents. Made of a solid construction and durable, resilient materials, they stand up to the exertions of kids. Whether you're on the site of a mountain or out on a family trip, we've got everything you need for a meal on the go. Whether you’re camping or just out in the countryside for the day, keeping your food and drink chilled is a basic luxury. Find the perfect solution in our wide range of kayaks and sit-on-tops. A Campingaz barbecue is the perfect base to prepare wonderful grilled dishes. 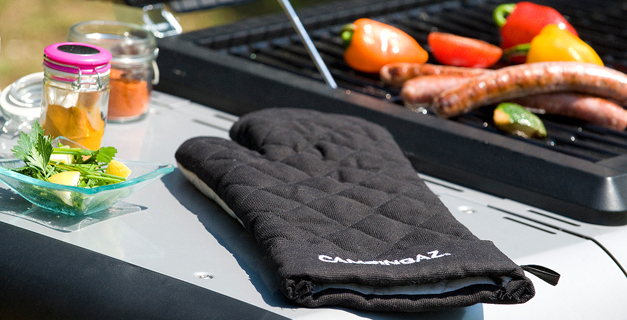 Campingaz offers a wide range of accessories and practical tools to improve your cooking experience and to protect your barbecue from all weather conditions.